When it comes to modern hair restoration methods, NeoGraft® tops the list. NeoGraft is the first FDA approved hair implantation system to use follicular unit harvesting (FUE). Unlike past “strip method” transplants (FUT), the automated FUE technique of NeoGraft harvests follicular units (groups of 1 to 4 hairs each) from the donor area of the head one by one. The healthy grafts remain fully intact and are then implanted in the recipient area of the scalp using an air-pressure/suction system. NeoGraft is the only “no touch” hair restoration system on the market. Most importantly, it eliminates the need for a scalpel and stiches so that patients are left with a confident and natural-looking head of hair instead of unsightly linear scarring in the back of the scalp. Due to genetic disposition, male pattern baldness can happen earlier than you’d like. In fact, you may feel at the prime of your career and become devastated that you are losing hair at a rapid pace. Baldness can jeopardize how you feel about yourself as well as persuade how others see you. You may be viewed as less energetic or less attractive due to thinning, receding or balding hair. Natural-looking, Attractive Results – NeoGraft allows the new hair follicles to grow in their natural direction. Since the FUE requires no stitches and leaves no scarring, patients are free to wear their hair however they want – short hairstyles are no problem! Innovative Science – NeoGraft relies on cutting-edge science and technology. The valued addition of automation when transplanting hair creates a minimally-invasive procedure that is both painless and effective. Minimal Discomfort – Patients report little to no discomfort with this “no touch” system. Recovery may be itchy but pain is little to none. Stay Active – Traditional strip methods involve stitches and restricted activity as you heal from your hair transplant procedure. Not with NeoGraft – which offers a enjoy a quick and active recovery. Same Day Discharge – Unless your work involves strenuous activity, you may be able to return to work the next day following NeoGraft. Cost-Effective– Considering the profound, long-term results that NeoGraft can produce, the return on your investment is excellent. Instead of relying on hair growing products or repeated treatments, NeoGraft offers a superior outcome in one procedure. Ask About PRP Injections to Boost Your NeoGraft Results! Not only does Dr. Ben Talei offer superior results in NeoGraft Hair Transplantation, but he is also equipped to compliment your hair restoration with advanced PRP injections. 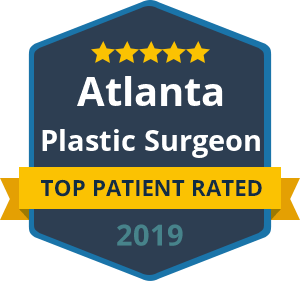 Platelet Rich Plasma is highly concentrated blood plasma platelets and growth factors that facilitate a faster, more successful outcome after a hair restoration procedure. PRP injections can also prevent future hair loss and trigger new hair growth in dormant hair follicles. Call our Beverly Hills office to learn more.